Once he starts talking, he doesn’t stop for a while. He loves what he does—it’s obvious. It’s that sort of unapologetic passion that makes Dr. George Daniels a valuable part of the Honors College community. Dr. Daniels currently serves as the assistant dean for administration for the College of Communication and Information Sciences. 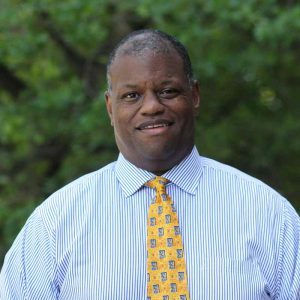 He received his bachelor’s degree in News-editorial journalism from Howard University, and both his master’s degree in Journalism and Mass Communication and his Ph.D. in Mass Communication at the University of Georgia. His degrees are impressive, but they are much more than distinguished certificates adorning his office wall (which is full of books both shelved and open, newspapers, and various knick knacks). Dr. Daniels has worked extensively in the media industry as a writer and producer, and later as a presenter and published researcher. Successful as both a journalism professional and as an academic, he is more than suited to guide hopeful young communication students. 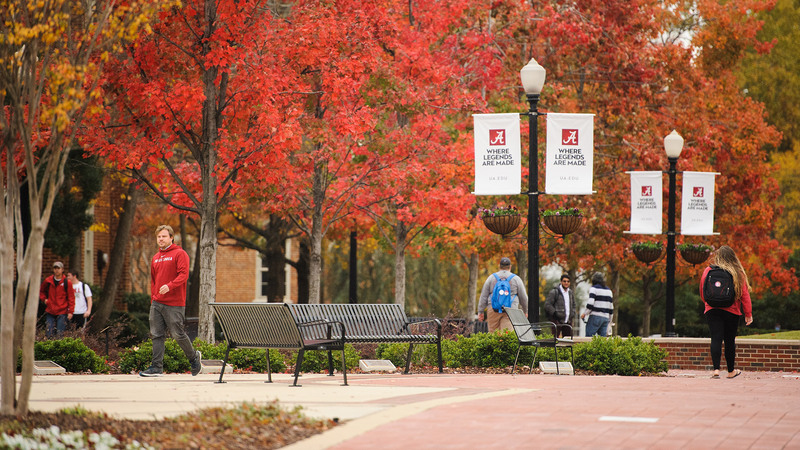 The University of Alabama was lucky to snag Dr. Daniels as an assistant professor in 2003. Innovative scholarship is a quality the Honors College places a lot of emphasis on. There is a continual vision to reshape how exceptional students learn, engage, and think critically. The Honors College offers specialized seminars specifically tailored to its students. UH100 seminars are intended to introduce freshmen not only to the pillars of the Honors College, but also to concepts and strategies for success in a rigorous university setting. They are small seminars, sometimes informal, and are an excellent chance to exchange opinions and ideas. Dr. Daniels led a UH100 seminar in Fall 2016 called “Males, Masculinity, and Media.” He designed the course to give males, in particular (though there was one girl in a class of ten students) an opportunity to analyze what it means to be a man in today’s culture. Dr. Daniels set up his seminar to be mostly discussion-based, supplemented with light writing assignments. They analyzed various texts of masculinity, including the television show “RuPaul’s Drag Race,” the book Breaking Out of the Man Box by Tony Porter, and the documentary “The Mask You Live In” from Jennifer Newsom. From the start, Dr. Daniels was intentional in creating a comfortable classroom environment in which all opinions were welcome. An aspect that made the seminar especially effective was its actual “classroom” in Ridgecrest South, which is one of the Honors College residential communities. “We can marry the place where you’re living with the academic learning, and it becomes a level of engagement that is unlike anything we could do in any academic building,” Dr. Daniels said. Dr. Daniels is familiar with that intersection of academics and residential life; he also serves as a Faculty in Residence (FIR) in Ridgecrest South. The FIR program was developed to allow students and faculty to engage outside the classroom. He planned a variety of resident programming last semester, including a movie screening of “Dear White People” and a Vice Presidential Debate watch party. In the future, he aims to push for more intentional programming and various incentives for student participation. The joint efforts of the Resident Advisors, Freshmen Advisors, and FIR’s have amazing power, according to Daniels. Dr. Daniels understands the hesitation some faculty may have towards becoming a FIR, but he sees the position as an opportunity to connect with students on a unique level.